The 2019 Volkswagen Golf is quick and efficient with a plentiful selection of features — everything you want in a new car. Driveability and cabin comfort are central to this Volkswagen hatchback. 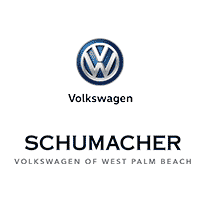 Schumacher Volkswagen of West Palm Beach can give you more information on the Golf and help you arrange a closer look. Schedule your personal test drive around West Palm Beach with one of our team members today.